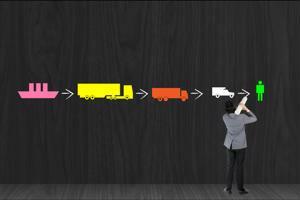 Managing a global supply chain is a difficult endeavor. There are many different functions, processes and supplier relationships to oversee. Companies must ensure business operations are efficient and productive and make sure the organization is complying with all safety and quality regulations. Adding to that pressure is the increased scrutiny many multinational corporations have faced, both from regulators and consumers, pertaining to unethical work conditions. The Human Rights Outlook 2016 report just published by Verisk Maplecroft revealed the top risks for supply chains this year. Leading the list are mitigating issues related to forced labor and improving traceability and transparency levels. It has always been important for companies to demonstrate social responsibility and best practices. However, the subject has become especially prominent after an abundance of high profile cases of unfair labor and inhumane working conditions were uncovered. As investigators and the public crack down on such occurrences along supply chains, businesses are presented with an accumulating amount of compliance issues. Failing to reveal what measures have been taken to resolve modern slavery in its operations will put a company at both financial and reputational risk. "The risks for business are amplified by increasing public scrutiny of unmapped tiers of the supply chain and benchmarking of company human rights performance," Verisk Maplecroft Principal Human Rights Analyst Dr. Alexandra Channer stated. "Damage to hard-earned brand equity, consumer backlash and divestment by ethically focused investors pose real threats to companies who are found to be knowingly or unknowingly complicit in abuses." The problem is not so much that businesses are unwilling to comply with mandatory reporting and audits but, rather, that many are unable to due to a lack of supply chain visibility. According to the 2015 Supply Chain Resilience Report, published by Zurich Insurance and the Business Continuity Institute, the majority of companies, or 72 percent, don't have complete visibility. This is a troubling statistic, considering 50 percent of the participants said direct, or Tier 1, suppliers were the main cause of disruptions. Furthermore, the Human Rights Outlook report revealed that, because many companies are currently unable to monitor supply chain tiers beyond immediate suppliers, most will struggle to meet the increasing expectations that come with mandatory reporting regulations. One area that the source indicated will be extremely important for businesses to enhance transparency in is the manufacturing of metals and minerals, such as tantalum, tungsten and tin, frequently used in components of electronics and automobiles. There have been a number of cases over the past few years in which well-known technology brands, such as Sony, were accused of using parts sourced from child labor mines in the Democratic Republic of Congo. Apple, Inc. has also been dealt its fair share of scrutiny for inhumane working conditions. To reduce risks, avoid reputation damage and minimize susceptibility to non-compliance penalties, it is imperative that companies be proactive in uncovering, reporting and correcting any and all occurrences of unethical behavior along supply chains. In order to do this, however, they must first adopt efficient strategies for increasing visibility and managing supplier relationships. The Human Rights Outlook report indicated that a collaborative effort between a number of parties, from government bodies and human rights organizations to stakeholders and suppliers, will be needed to resolve these issues. It also suggested that, to better identify and correct unfair practices, companies should train workers and monitor suppliers. In addition, global supply chains are encouraged to leverage innovative tools and solutions, such as audit technologies, that will help enhance transparency and traceability.